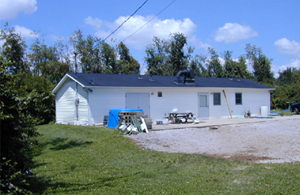 The Department of Biology's Ecological Research Facility and Education Center (EREC) Field Station, is a field station located on a 60-acre, old-field tract in Lexington, Kentucky. Surrounded by residential neighborhoods, agricultural land and horse farms, the facility is a major resource for field studies within a fifteen minute commute of the main campus. Access is controlled, providing a secure site for research, teaching, and community engagement. 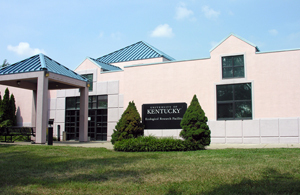 University of Kentucky biology faculty use the EREC facility for a broad range of ecological enviromental and genomic research. There is a weather station on site, and outdoor wifi is available in the most intensively used part of the research area. 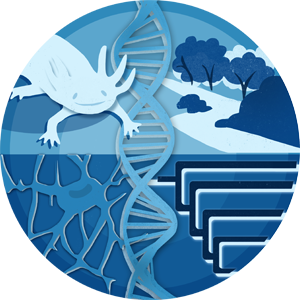 In the summers, EREC also hosts classes and a National Science Foundation Research Experiences for Undergraduates on Suburban Ecology and Invasive Species (pending funding). Thanks to a $1 million grant from the Lexmark Foundation, EREC shares the renovated UK/Lexmark Building with the PIMSER teacher training group, a collaborator on community engagement activities. The building includes a 50-100 person multipurpose meeting room and a 30-seat teaching laboratory with prep room, PCR lab, offices and computer lab/meeting area. 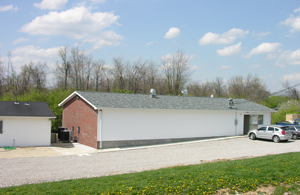 The common use building includes a center bench for preparing outdoor experiments, two walk-in environmental chambers, and a workshop for graduate and undergraduate research. An adjcent building houses a circadian rhythm lab. 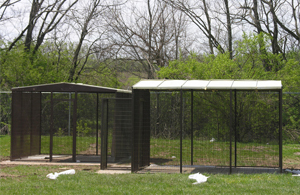 Aviaries are used for outdoor studies on birds. 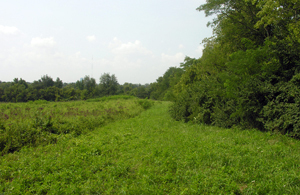 Abundant old-field land is available for long-term studies of plant succession and community development, and for experimental manipulations of plant populations. 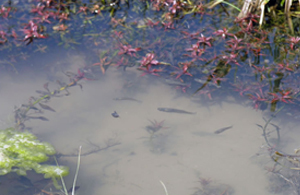 Artificial ponds provide opportunities for well-replicated experimental manipulations. 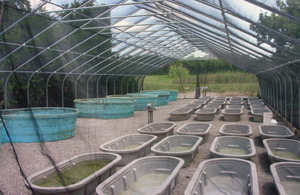 A newly renovated mesocosm facility allows controlled studies of aquatic species. 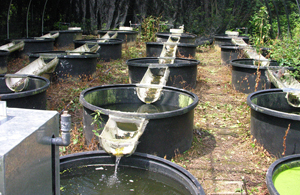 Artificial streams permit controlled experimentation of stream systems.